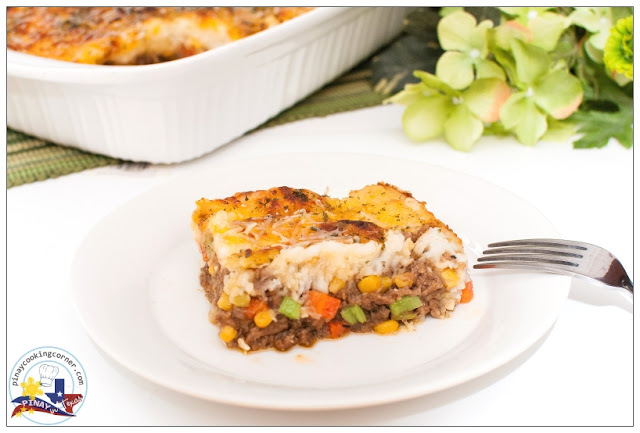 ...Shepherd's Pie --- a meat pie with a top crust made of mashed potatoes. 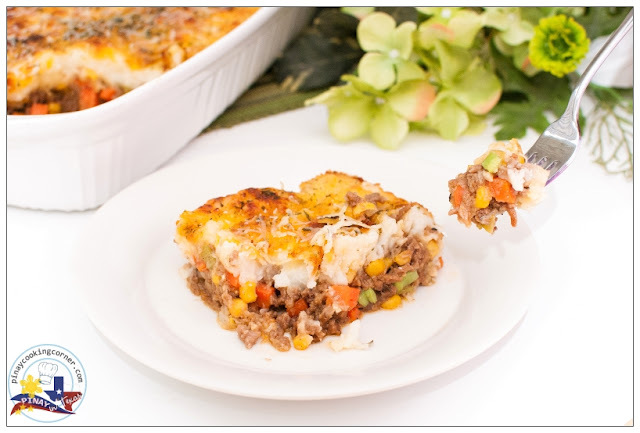 I've read that St. Patrick's Day won't be complete without Shepherd's Pie, which was originally called "Cottage Pie" and originated in England but was adopted by the Irish people. 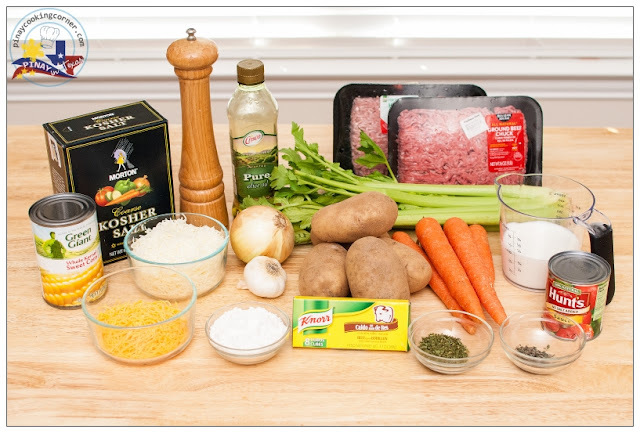 Traditionally, the meat layer of a Shepherd's Pie is made of ground lamb, onions, carrots and peas. I honestly have never tried a traditional Shepherd's Pie. This one I am sharing with you today is an adaptation of a recipe I found at marthastewart.com years ago. It's made of ground beef, carrots, corn and celery...and has mashed potato and cheese topping. My family love this...and it's truly a big hit every time I make it. Whether it's St. Patty's Day or not, I highly recommend that you try this! It's comfort food at its finest! 1.In a large skillet over medium heat, saute garlic and onion in olive oil until onion is almost translucent. Add beef cubes and beef and saute until beef turns brown. Season with 1/4 tsp salt and 1/4 tsp freshly ground black pepper. Cover and simmer for 10 minutes stirring occasionally. Add vegetables, flour and tomato sauce. Stir until well combined. Cover and simmer for 5 minutes. Remove from heat and add 1/2 cup mozarella cheese. Mix until well combined. Set aside. 2. Preheat oven to 450°F. 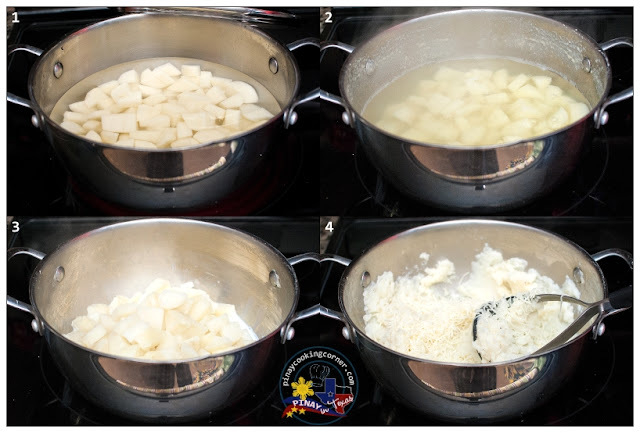 Place potatoes in a large saucepan over medium heat, and cover with water. Add about 1/2 Tbsp salt and bring to a boil. Cook for 15 to 20 minutes or until tender. Drain potatoes well and return to saucepan placed over low heat. Add milk and 1 cup mozarella cheese. Season with a 1/2 tsp salt and a pinch of pepper. Using a potato masher, mash until smooth. 3. 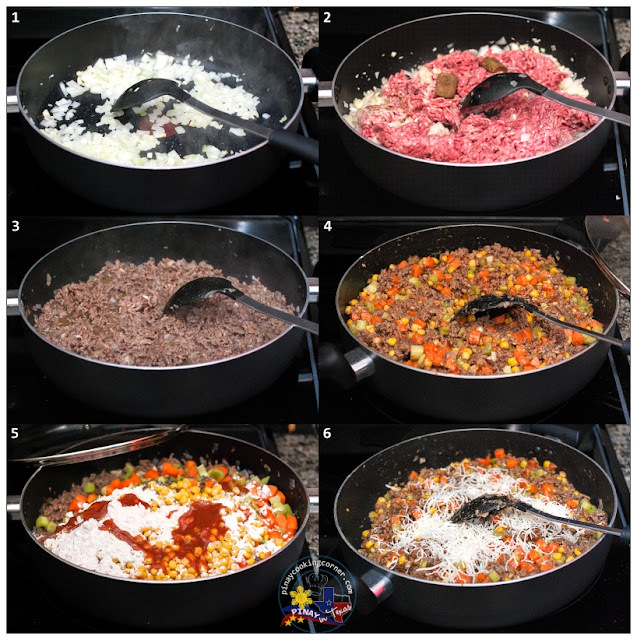 Pour beef filling into a 13-by-9-inch baking dish. Press using a spatula. Add the mashed potato on top and spread over filling. Sprinkle with remaining mozarella cheese, cheddar cheese and parsley flakes on top. Bake for 25 minutes or until topping is browned and filling is bubbling rapidly. Let stand for about 10 minutes before serving. This is beautiful Shepherd's Pie! 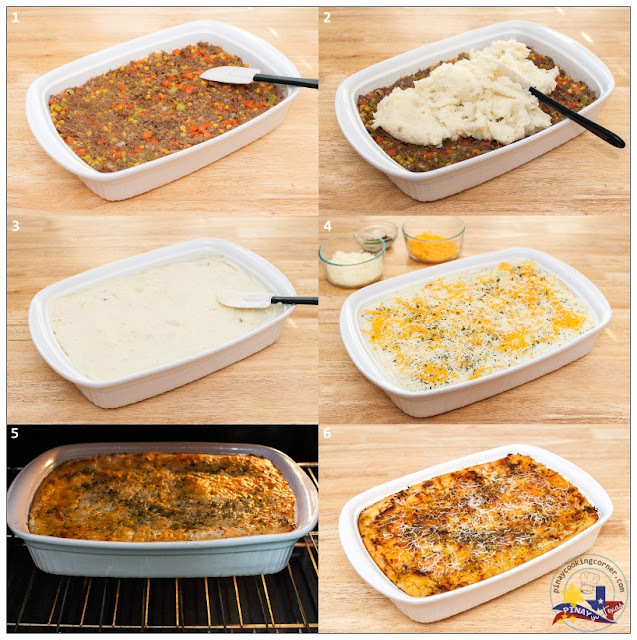 We love eating shepherd's pie and yours looks wonderful. This is a very beautifully made sheperd's pie Ma. Tina! It looks so colorful and the top just the right color. Great recipe, I hope I can make something similar to this too. More power to your posts! Simply splendid Tina. I can't remember when was the last time I eat shepherds pie. Very tempting and when I have the time to gather the ingredients, will try but with lamb because we can't eat beef. 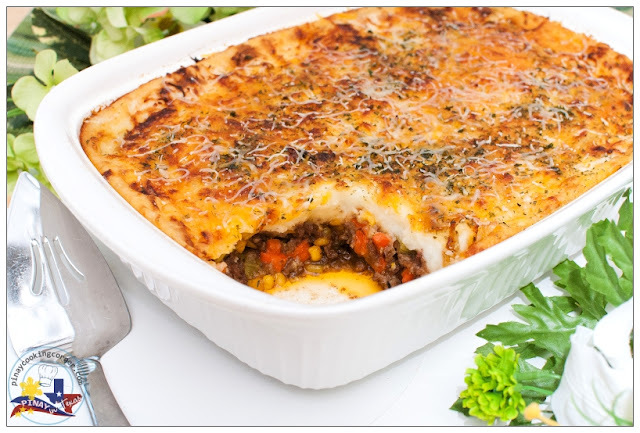 Fabulous looking shepherd's pie. Lipsmacking good.